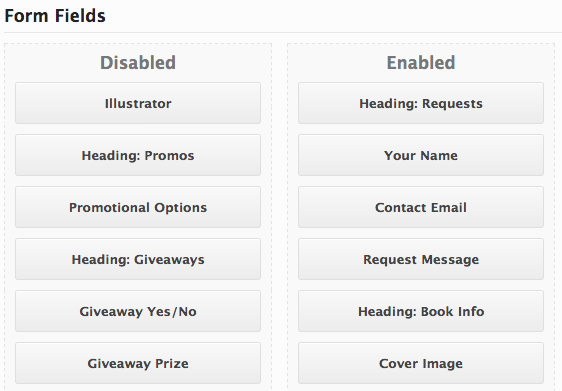 Several of the front-end submission fields will auto-complete with authors, publishers, and series that you’ve already submitted into the Ultimate Book Blogger Plugin. So as the user types, they will be prompted with suggestions. You can pick and choose which fields show up on the submission form. You can drag, drop, rearrange, and remove fields. When someone presses “submit” on the form, their entry gets stored in a new “Review Requests” tab in your WordPress admin panel. You can easily view, manage, edit, and delete review requests, just like posts. When you edit a review request, you have a few tools at your disposal. 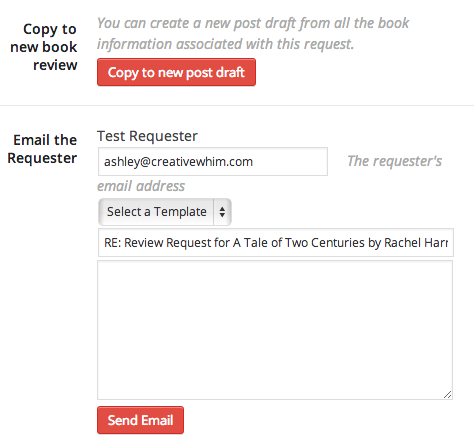 You can assign reviewers to a book (great for co-bloggers! ), copy the submission to a new post draft (transferring over all UBB data), and even email the requester. This add-on comes with free support (for one site) and updates (for one site) for 12 months from the date of purchase. After that, you’ll have the option of renewing for an additional 12 months if you choose. Whether you renew or not, you’ll have lifetime access to the plugin. This add-on requires 3.0.8+ of the Ultimate Book Blogger plugin. Tweak: Review request data is now anonymized instead of deleted when using eraser tool. New: Add data export and deletion features to upcoming WordPress core tools (GDPR compliance). Fix: Don't save empty post meta. Fix: Undefined index error when saving review requests. 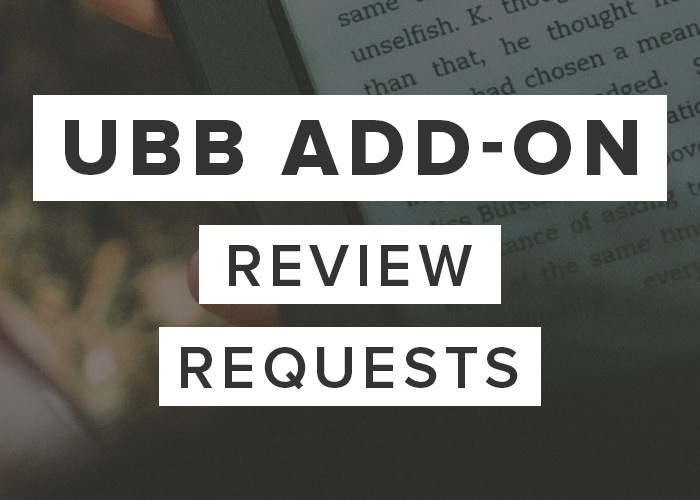 Fix: UBB plugin scripts not loading on review request pages. This caused image upload fields to not work correctly. Tweak: Add more actions to hook into meta box and form fields. Added a new status for "Accepted - Awaiting Book" so you can designate between whether you're waiting for the book or have received the book and have not yet written a review. Fixed issue with request submission leading to a blank page. Filter Currently Reading widget args to allow for review requests to be selected. Added Akismet integration to check for spam. Fixed incorrect capitalization on Ultimate_Book_Blogger() function. Made review requests look private -- removed "view" link. Merged admin_css methods together (there were two). Updated all instances of review status being in post_meta to use proper post_status. Fully urlencoded email templates. This may fix issues with text after commas not working. Added new setting to allow you to customize the subject line. Added sanitization for saving reviewer list. Form submission: Image no longer tries to get uploaded if the Book Cover field is disabled. This prevents an image error from being displayed when no upload was even attempted. Disabled add media button in wp_editor() instances. Added new custom capabilities for managing review requests. These can be set in Ultimate BB > Review Requests. Increased UBB version requirement to 3.2.1. Small coding tweak for checking allowed statuses. Added a new dropdown to filter Review Requests by reviewer. This appears on the "All Review Requests" page near the "Bulk Actions" dropdown. This is still experimental. Review requests are now hidden from internal search results. Fixed a problem that prevented requests from being trashed. Review requests are now private if happened to be viewed on the front-end. Only someone who has access to edit a review request can view it on the front-end of the site. Fixed a PHP warning that was triggered if you have no roles selected for "Reviewers". Re-coded for UBB version 3.0. You can now filter by request status on the "Review Requests" page. This requires a database upgrade to apply the change to old requests. When emailing requesters via the admin panel: switched from using "From" email headers to using "Reply-To" email headers. Some email providers don't take too kindly to "From" headers. Added a simple CAPTCHA field to avoid spam entries. Turned the "Review deadline" field into a datepicker. Added a new field option for "Narrator". 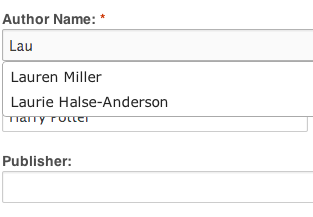 You can now allow only certain roles to appear in the "Reviewer(s) for this book" list. Added additional columns on the review request archive (genre, reviewer, due date, book cover). Added a new box for you to enter the "Review deadline". Fixed a bug with the "Reviewer(s) for this book" not updating if you only have one reviewer, that reviewer is checked, and you try to uncheck it.